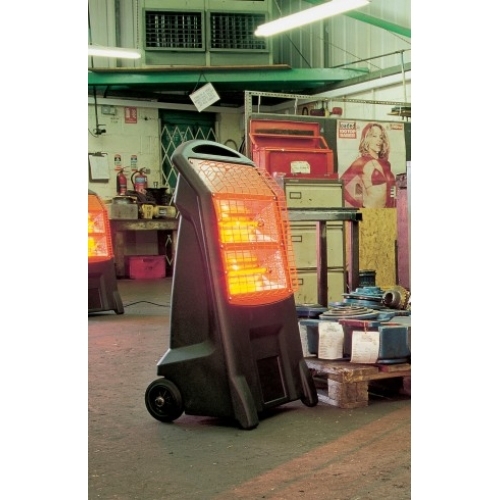 Our commercial infra-red electric heater is perfect for workshops and warehouses. It can also be used for drying out damp walls as it produces heat with no fumes. It is a low cost heating unit which warms people and objects. 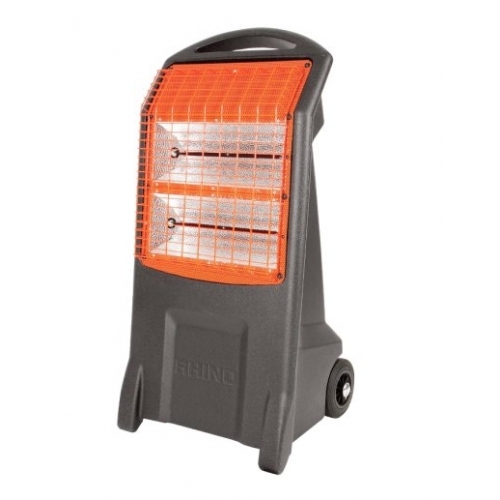 This Rhino heater has castor wheels and a cable storage feature. The heat is produced by halogen heating lamps as soon as the unit is switched on. As this type of heater does not heat the air, the unit can be placed in large or draughty areas. The heat is projected up to 6 metres.